This was the result of playing around in Photoshop. I had taken the photo of my colleague using a Canon S100, but it didn’t come out particularly well (very grainy), so while attempting to make it even more grainy, I ended up doing this instead… Not everyone’s cup of tea! 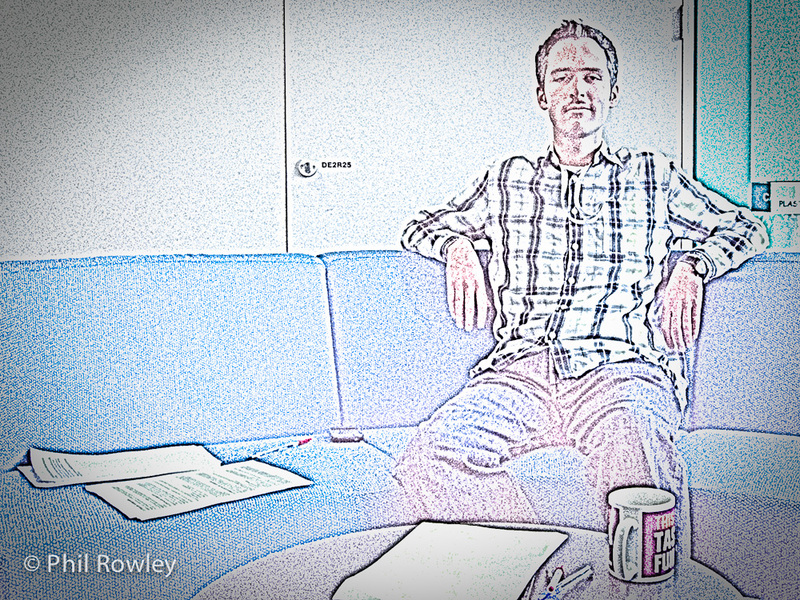 I think this turned out great…and a great expression on your colleague. The graininess tends to flatten things out, as if human and objects were fading into one another. Thanks for the comment. I’d not really thought about graininess making the objects fade into each other. I guess it adds that layer of uniformity. I will look at that next time I am dealing with grain. What do you mean, not everyone’s cup of tea?